It's slow this week or should I say that I'm slow this week. My brain knows the holidays are over but the rest of me has yet to respond. The tree is still up, granted it was only put up the week of Christmas, stockings still sit on the fireplace as do various other Christmas decorations. There they will remain until annoyance becomes more prevalent than procrastination. Some things are easier to deal with then other things. Like candy canes. After making an executive decision that my children really don't need anymore sugar right now I decided to make a treat with even more sugar than one simple candy cane could ever pocess. 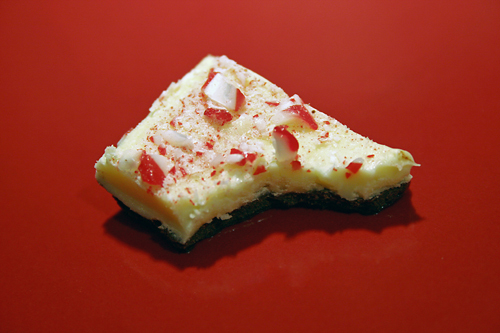 Peppermint bark. 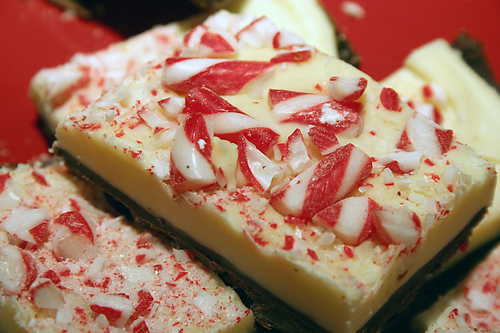 The culmination of dark chocolate, white chocolate and crushed candy canes. Yes, enough sugar to send my body into a diabetic coma. Yeesh, what was I thinking? Probably not a whole lot of thinking went into that one actually. Remember I said I'm slow this week. Whatever, I can ponder that while I snack on my bark and stare at my tree a little while longer. How's undecorating going in your home? You are so funny. That stuff looks SO good. It really was very good, so good I made my way out to the store to pick up a few more ingredients to make another batch. Things certainly are under control here in the sugar department.